One of the highlights of our year here at Girlfriend is our annual family camp out. Nostalgia from childhood trips and anticipation of upcoming nature time has indubitably inspired this week’s styles. Our version of summer camp fashion combines 70’s-inspired clothes with handmade accessories. The result is funky and playful, with a couple of DIY crafts you can wear or share! First of all, think total tomboy. Summer camp fashion includes baseball tees, beanies, and everything else us girls steal from boys’ closets. Clothing should be able to go from night to day as quickly as you can hop out of a sleeping bag. And this stuff is super inexpensive. We like Forever 21’s baseball tees for their super low price of $5 each. Comfortable and cotton, they come in four mountain-worthy colors. Joggers are also great for sleeping in and starting morning fires in. Check out Free People for a collection of sweats that look as good as they are comfy. Make sure they are roomy enough through the thighs for the most flattering fit. The nieces and nephews are getting to the teenager stage, so we like to have one or two crafts available at the campground. 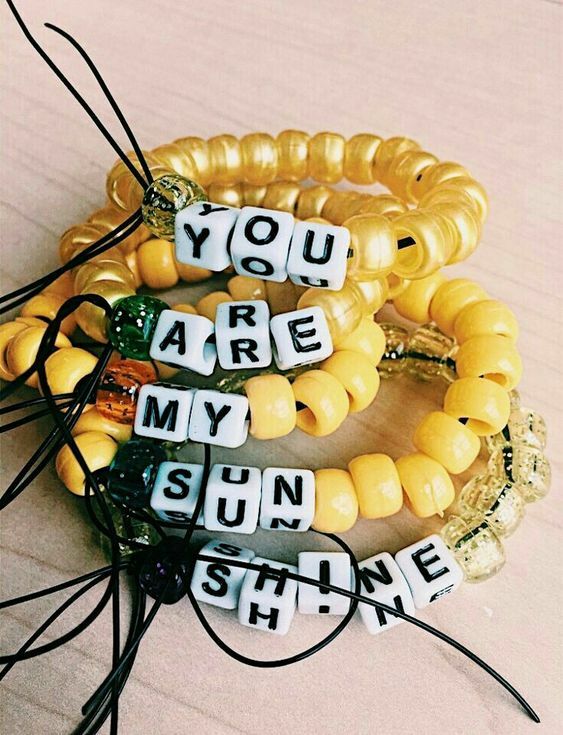 Friendship bracelets are a perfect Summer camp fashion accessory and they are easy to make! Check out Martha Stewart for a DIY guide for four basic braids. Friendship bracelets are fun for boys and girls and are easy enough for anyone 10 and up to make. You can layer them or share them, and they can even be pretty fancy, depending on the kind of string you buy. 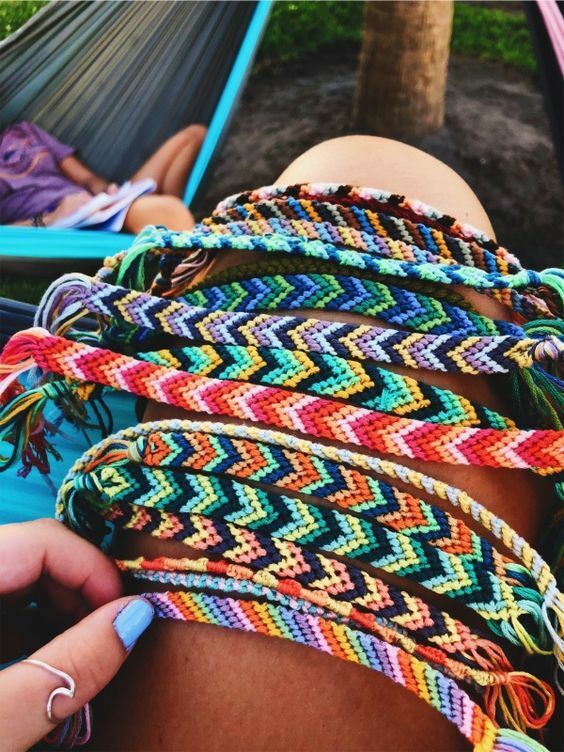 Amazon carries a 52-pack of 100% cotton embroidery string in a rainbow of colors. Do it! To keep that 70’s flavor going, invest in a sturdy pair of denim shorts. Once the day starts to warm up, high-rise shorts are a Summer camp fashion foundation piece. Try little brother-sized striped or ringer tees tucked into your high-waist shorts for a perfect tomboy look. High-waist shorts are usually pretty short in the leg. For the right waist, but longer lengths, try Levi’s brand shorts. One of the classic 70’s styles is sport socks. Add sport socks with bright bands to your Summer camp fashion outfit. 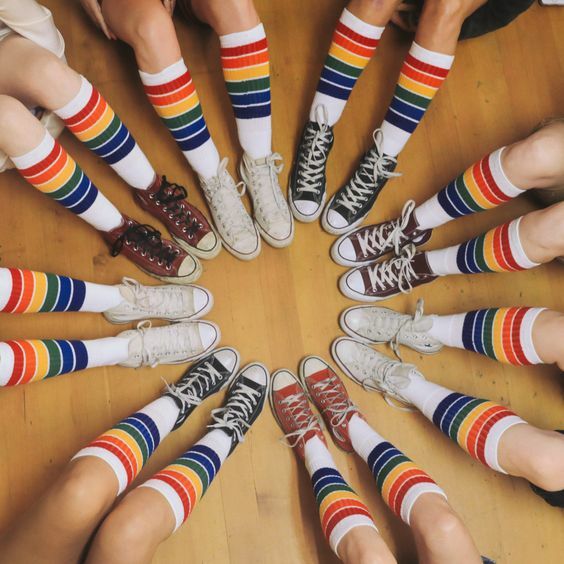 Camp Collection’s Pride Socks are right at home in a trusty pair of Converse All-Stars. Converse are perfect camping shoes because they are comfortable and are washable. Instead of family camp shirts, maybe we should be rocking camp socks? My sister recently bought a pair of boyfriend jeans from H&M and she literally wore them for the next 3 days straight. (Some things we find alarming, some things we just let go.) 70’s bell bottoms are a little too much for Summer camp fashion, so we like to use the good old boyfriend jean instead. They are usually vintage, roomy, and can take a beating (as they are usually already beat). Camp colors are usually a mix of muted brights and camo cools. Hunter’s orange and a pair of checkerboard Vans should do the trick nicely. Also, check out our favorite skate styles if you love this look. The most important thing to remember is to keep it simple. 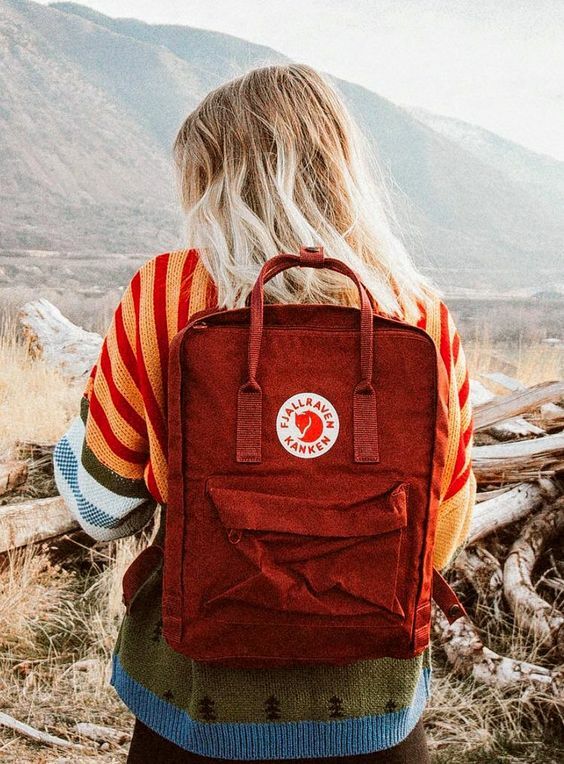 Summer camp fashion should be packed light with a 70’s-inspired backpack. The Fjallraven Kanken Backpack was designed in 1978 and is the perfect combination of rugged and roomy. We love adding patches to our gear, too. 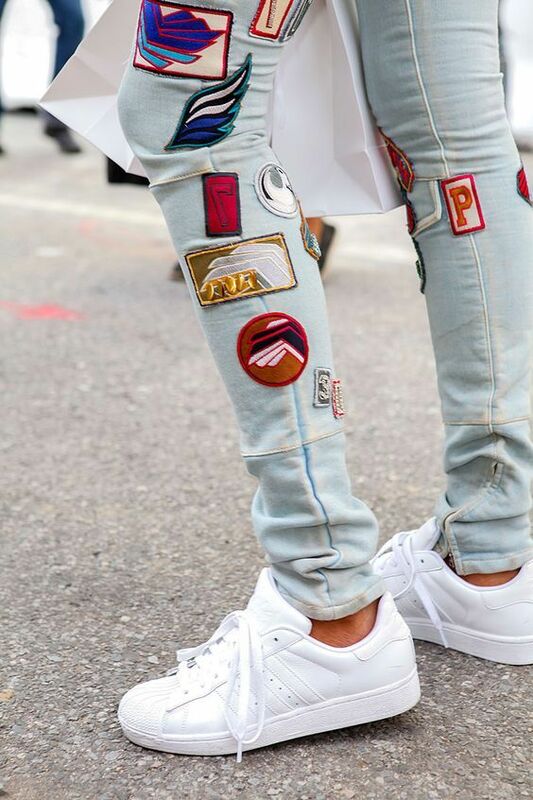 It’s fun to customize clothing and accessories with vintage patches from back when. A sturdy backpack is also great to take on hikes. Add a bottled water and a couple of protein bars and get out into the wild! Caution: this style is highly addictive. 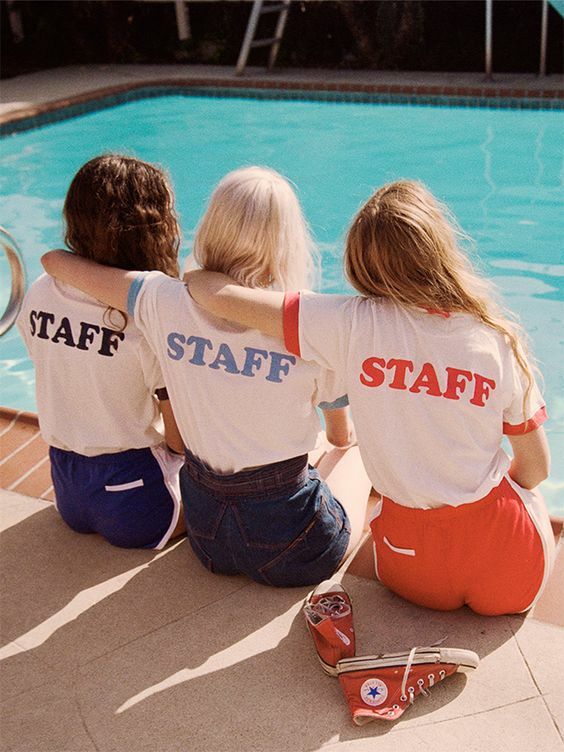 Can’t get enough Summer camp fashion? Take a look at our favorite Fall hiking gear for more 70’s inspired outdoor fashion. 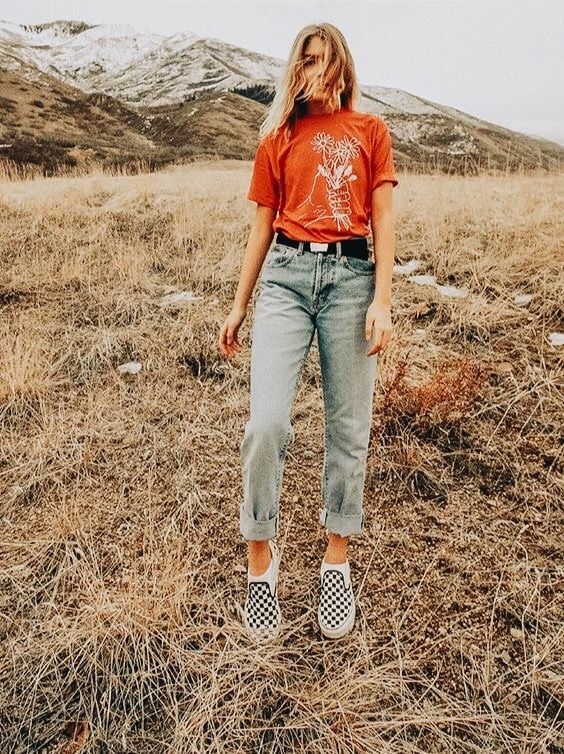 You don’t have to be in the mountains to rock the look. Pool parties and beach bonfires work just as well. Bye, bye Miss American Pie. Great article on a great event. I think everyone needs a time for ‘Fashion Freedom’. Others need to find out about the benefits and joys of the ‘Family Campout’ (beyond ‘fashion’). This is an event that can free kids and adults alike from the droning of every day life. Free from the internet, free from the Kardashians, free from the ‘end of the world’ political screaming, free from traffic, free from all the many noises that divert one from the calm, peaceful place that is life. I might also add, freedom from hot showers, flush toilets, washing machines, microwave ovens, refrigerators, light at the flip of a switch, thermostat controlled heating/cooling, protection from mosquitoes and bugs. Let’s not forget about the freedom from chipmunk defense. The ‘Family Campout’ takes a little courage, preparedness, and ‘Deep Woods OFF” sunscreen and chapstick. It’s still SOOOOO… worth it. OMG! I totally used to make those bead bracelets. Great suggestion for kids and us nostalgic adults (who dont adult very much). Patches Placement: What Kind of Tattoo Would You Get?